As Winter sets in, why not apply now for your chance to Go See a range of exciting events in the New Year, and find inspiration for your programme of events. Celtic Connections is the largest annual winter music festival of its kind and the UK’s premier celebration of Celtic music. The 2017 programme was recently announced, and an exciting array of artists are set to perform in Glasgow this Jan/Feb. manipulate Visual Theatre Festival is produced by Puppet Animation Scotland. Puppet Animation Scotland champions visual theatre, puppetry and animation in Scotland and supports artists and organisations who engage with these artforms. 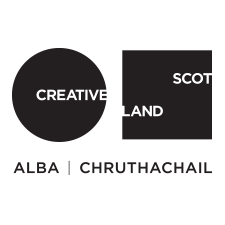 Through manipulate Visual Theatre Festival, they enable audiences and Scottish-based artists to see and engage with world-class visual theatre and animation. manipulate Visual Theatre Festival Trailer 2017 from PuppetAnimationScotland on Vimeo. The Federation of Scottish Theatre’s annual Emporium takes place over two days in March at the Beacon Arts Centre, Greenock. This event allows for focus on both long-term planning and discussing ideas at the very early stages of development (Early Dialogue Day) and on short and medium term planning at the established Market Day. At the Early Dialogue Day, producing companies and artists present work, at the very early stages of creation to venues, promoters and producers with the capacity to produce the work of other artists. Market Day allows artists and venues to promote and programme existing work which will be available for touring within the next 6-12 months. To apply for a Go See bursary to attend one of these events, or any other event that you would like to attend that will inspire your programme of events, please visit our website and complete our short Go See application form.